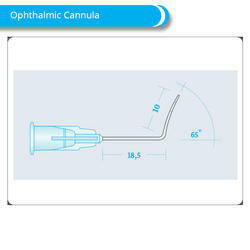 Offering you a complete choice of products which include disposable ophthalmic hydrodissection cannula, air injection cannula for cataract surgery, get premium eye surgical capsule polisher cannula, single use disposable irrigating cystotome cannula, high precision ophthalmic lacrimal cannula price and refractive cannula superior quality ophthalmic cannula. 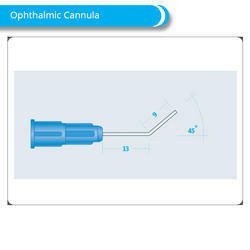 We at DSA Exports offers a complete range of Opthalmic Surgical Cannulas, which are the thin tubes sectioned into a body cavity or vein to disperse medicine, drain off liquid, or insert a surgical instrument. 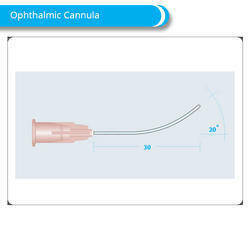 Applications : Opthalmic Cannulas used for anesthesia, hydro-dissection, viscoexpression, capsule polishing, irrigation, aspiration, capsulotomy and infusion of liquids. DSA Exports continues to enhance its presence in the International market through innovation, wide range of Products, export oriented approach and thoroughly professional management. Lacrimal Intubation set comprising of stainless steel probes with silicon tubing length 30 cm. Packed in ready to use sterile packs. 7.5 cm x 23 G with or without Olive tips. Indicated for obstruction beyond common canaliculus. 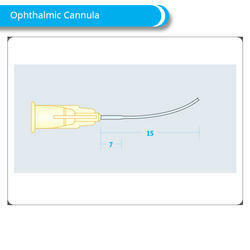 This operation involves anastomosing the lacrimal sac to the nasal mucosa of the middle nasal meatus. 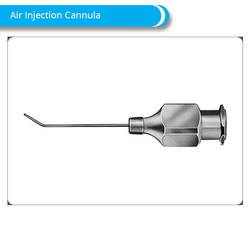 The whole procedure is performed in external manner by incising the nasal cutaneous skin. 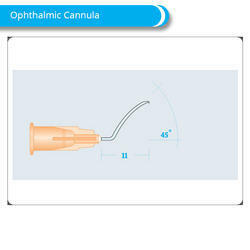 Creating a new tear drain opening from the lacrimal sac directly into the nose that allows tears to bypass the obstruction. A silicone tube may be placed temporarily (usually six to twelve months) in the new tear drain to keep it open while the healing process occurs. 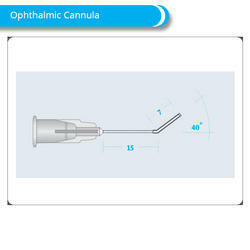 Looking for Ophthalmic Cannulas ?